From Wednesday 30th May to Wednesday 6th Jue, there will be daily performances in the Salle des Fêtes and the Théâtre du Verdure. In a town of just 2700 inhabitants, Mayor Francis Manent is the first to admit that a festival of any kind can be a perilous undertaking ; particularly when arts funding is no longer readily available. 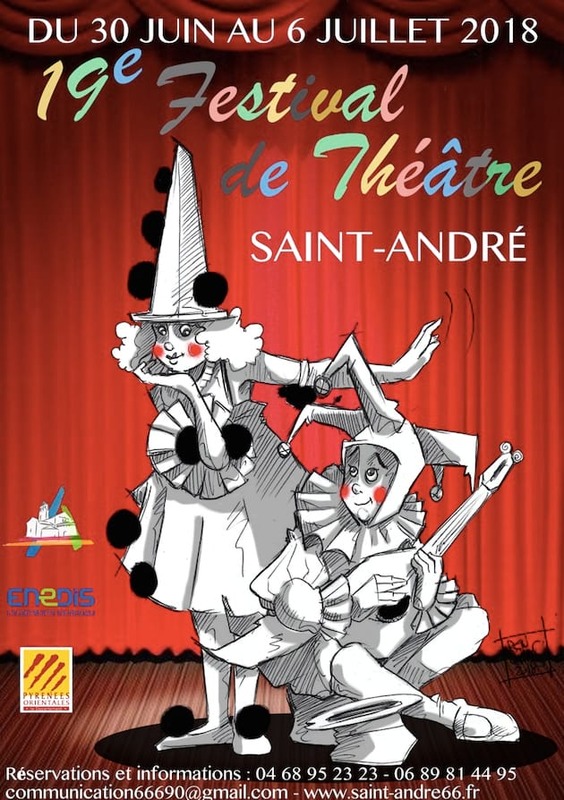 Regardless, he and his constituents regard the Festival de Théâtre de Saint André as « necessary ». Not only are they promoting creative expression in a society too-oft obsessed with profit, they are also providing a forum of cultural discussion, inviting audiences to analyse their fears and overcome their prejudices. With 2 shows every day, the 2018 schedule is brimming with talent. From an interpretation of Lord of the Flies to scenes from Dostoïevski’s The Idiot and a clown comedy romance to melt the hardest of hearts, this year’s programme is as eclectic as the actors are brilliant. With winners of theatre festivals from across Europe, and further, audiences are set to be regaled by some of the finest theatrical artists performing in France today.